Mitcham Laser is proud to announce the launch of our new website in October 2013. Here you will find extensive information about our company & services, along with a gallery full of photos of completed jobs, products & projects. An exciting addition to our site is our ‘Projects & News‘ page. 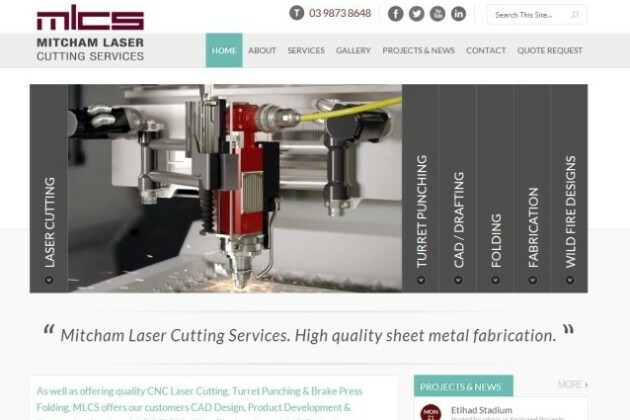 Here you can see a brief review of a selection of projects Mitcham Laser has been involved with, and also stay up-to-date with any additional services, processes and general news being posted. And finally a big THANK YOU goes to Joe & the team at Hybrid Expression for their work in designing & constructing the new site!